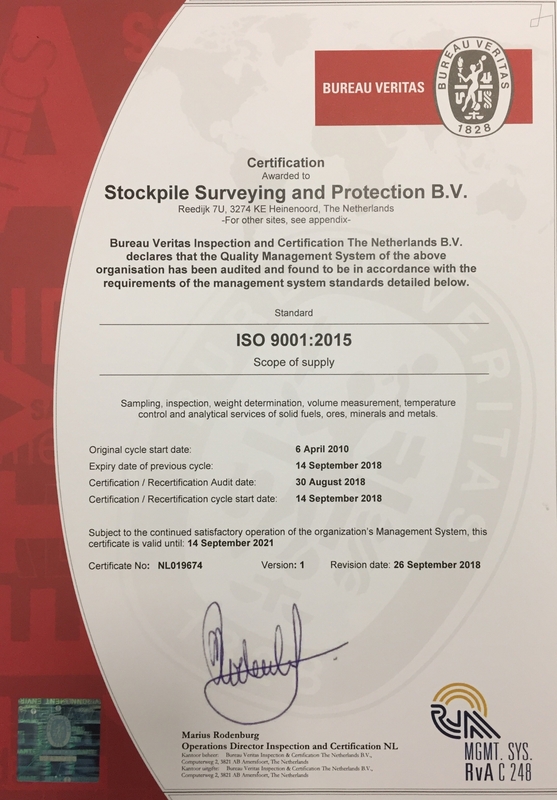 Successful renewal of ISO certification | Stockpile Surveying and Protection B.V. Proud to announce that Ssp Italy is now ISO 9001:2015 certified! We are pleased to announce that we have successfully completed the audit, which resulted in renewing the ISO 9001:2015 certificate. Stockpile surveying and protection B.V.
copyright 2018 © Stockpile surveying and protection B.V.